A casual daytime scent for men who are young at heart, Paris Hilton Man is a wonderfully evocative fragrance that balances a moderate, warm tone with a complex variety of notes. First introduced by Paris Hilton in 2005, Paris Hilton Man has a thoughtful construction, blending notes of white sage, amber, fig leaf and cucumber with green mango, cedarwood, and juniper. Fresh and clean while remaining hearty and very masculine, this evocative fragrance is perfect for a broad variety of excursions. 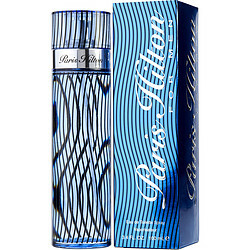 This Paris Hilton for men has been one of my signature scents from the very first time I ever smelled it. This & Versace Man, these smell like "
I have been wearing this fragrance for 8 years and I still get compliments on it all the time. Everyone loves it. It's masculine but slightly sweet. Not too manly or overpowering. Bought for my 18 year old nephew and he loves it . I love this smell. I get lots of compliments wearing this specific cologne. Highly recommend!